Registration is now open for our upcoming seminar, which will be held on Thursday, November 16th at 9:00 am at the Auburn-Webster Elks. Registration on the day of the seminar will begin at 8:30 am. Currently a Special Agent (SA) with the Bureau of Alcohol, Tobacco, Firearms and Explosives (ATF), where he has been employed for approximately 18 years. Graduate of Worcester Polytechnic Institute (WPI) with a Bachelor of Science Degree in Mechanical Engineering and a Master of Science Degree in Fire Protection Engineering. Licensed Professional Engineer (PE) and Certified as a Fire Investigator (CFI) with ATF as well as the International Association of Arson Investigators (IAAI). 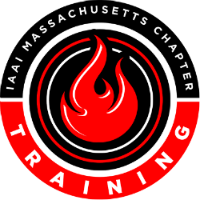 Member of the NFPA 921 Guide for Fire and Explosion Investigations Technical Committee and has lectured extensively throughout the United States in topics related to fire investigation. Also presenting will be Melinda Sokoloski and Mike Hourihan from MS Aerial, which is an LLC founded by our speakers. Their goal is to effectively and safely capture remote imagery using small aerial unmanned systems (sUAS.) Their business and development focus is on infrastructure inspection, search and rescue, facade ordinance and site survey. They match the best aircraft and imaging modality to the mission. The right combination of imaging resources provide an unprecedented level of situational awareness and more importantly, keeps providers at a safe location resulting in a low risk experience. Their deliverables encompass, high resolution color, high dynamic range grayscale, thermal, and precise hyperspectral datasets which allow for data driven workflows ending with a powerful and immersive 3-D or 4-D deliverable. Melinda Sokoloski is CEO of MS Aerial. Melinda started in business after receiving a combined degree for digital imaging from the School of the Museum of Fine Arts, Boston, and Tufts University. Her focus is aerial photography with sUAS and ground based image sensors. Along with executive responsibilities she also holds her FAA 107 drone pilots certificate. Melinda comes from a family involved with several stone quarries and construction ventures. Due to her history, remote inspection and imaging became a natural fit. Melinda’s clients include: National news outlets, Architectural and engineering firms along with nationally recognized construction companies. Melinda is a member of the Mass building congress, The Professional photographers of American and the Quincy Chamber of Commerce. Melinda is a proud certified WBE and is currently pursuing her MBA in business leadership. Mike rounds out the MS Aerial team with specific skill sets and experience perfectly suited for UAV operations with Police and Fire investigation. With decades of high performance model helicopter experience the transition to slow, stable flying UAVs was a natural one. His UAV hardware expertise extends far beyond the consumer level operator. If the commercial market does not provide a suitable aircraft, Mike will custom fabricate the solution. As a veteran Helicopter Paramedic of nine years for Boston MedFlight, Mike has collaborated countless times with Police and Fire Departments across the Northeast. Whether conducting UAV operations or landing on a skyscraper, his focus is on safety and professionalism.